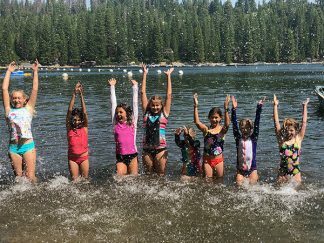 Camp High Five Pinecrest is set directly in the Stanislaus National Forest located at Camp Sylvester. The camp is a short 10-minute trail walk to the lake where campers will get the opportunity to go kayaking, paddle-boating and swimming. Camp High Five Pinecrest will also feature horseback riding, hiking, archery and all of our classic camp activities. Among our high-energy staff we have counselors who are certified in CPR, First Aid, and Lifeguarding. 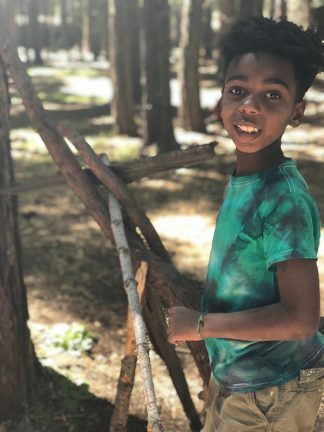 Campers will experience the fresh air, and excitement of an outdoor adventure, while creating long-lasting friendships and memories. Optional transportation is offered to and from Briones Park in Palo Alto to Camp High Five Pinecrest. Please arrive at 12:30pm for check-in. We will depart at 1pm. Campers who will be meeting us at Camp High Five Pinecrest may check-in between 4:45pm-5:30pm. On July 5th optional transportation will be provided from Camp High Five Pinecrest to Briones Park. We will arrive at Briones Park at 1pm. If you are picking up from camp please arrive no later then 9:30am. 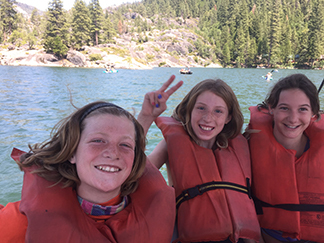 To contact a camp director while at camp please call (650) 823-5167 or e-mail Dave at info@runforfuncamps.com. In case of an emergency please Dave Barth at (650) 823-5167.